Photo Rejuvenation is a non-invasive treatment performed with medical-grade Intense Pulsed Light (IPL) technology. It is designed to target skin conditions, including pigmentation, fine lines and wrinkles, sun damaged skin, dilated capillaries, redness, and rosacea. The process works by using accurately targeted light energy to safely treat visible blood vessels or pigmentation. Photo Rejuvenation stimulates the body’s natural healing process to assist in the removal of treated pigmentation and vessels, while also promoting the natural production of collagen, which leaves skin smoother and more evenly toned. Treatments have proven to generate substantial visible improvements in the skin without significant downtime. The Intense Pulsed Light used to perform Photo Rejuvenation is attracted to dark melanin and haemoglobin causing a coagulation and destruction of targeted lesions. As IPL is attuned to dark pigment it is not suitable on tanned or dark complexions, including recent sun exposure or self-tanning lotions. Carried out in our Melbourne speciality clinics, Photo Rejuvenation treatments use advanced Intense Pulsed Light (IPL) technology to deliver controlled light directly to the skin, targeting areas that contain dark melanin (age spots, freckles and pigmentation) or superficial haemoglobin (redness, dilated capillaries, telangiectasia). The IPL energy is absorbed by the target and converted to heat, which damages the targeted cells whilst leaving the surrounding skin unaffected. Once the light is absorbed into the target, the body begins to naturally break down and eliminate it, revealing fresh, rejuvenated skin that is clearer and more even in tone and texture. You’ll also notice that pigmented areas such as freckles and age spots appear much lighter, and after several treatments will fade and eventually disappear. Photo Rejuvenation is also used to heat up the dermis and stimulate collagen production, improving skin texture, firmness, pore size and fine lines, increasing the youthfulness of your skin. When you look in the mirror, does your skin look weathered and tired? Is the effect of the sun taking its toll? Most of us, at one point or another, have thought of possibly putting a stop to or at least slowing down the ageing process and the effect that the sun has upon our skin. Developed by Doctor Patrick Bitter Jr, this revolutionary new method involves a series of different wavelengths of light that target different depths of the skin. 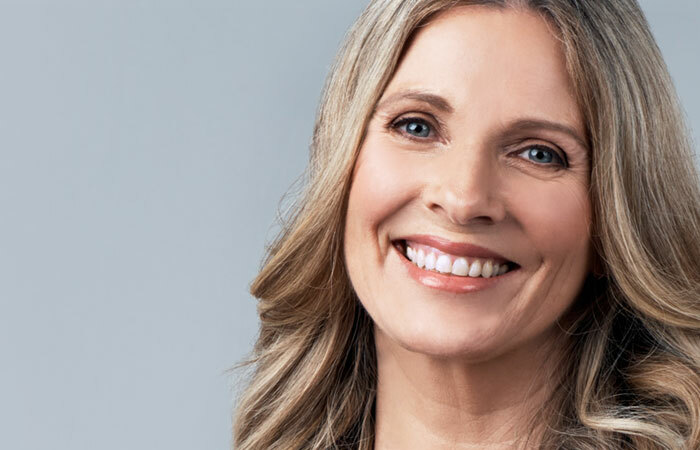 Enabling the treatment of many types of skin concerns such as the signs of photo-aging and rosacea while reducing fine lines, wrinkles, enlarged pores, telangiectasia and irregular pigmentation – resulting in dramatically younger and more beautiful skin. When following our Photo Rejuvenation guidelines, clients experience consistent, visible and long-lasting improvement to their skin. Facial Rejuvenation using IPL has a great appeal because of the dramatic visual improvement to the skin, the simple nature of the treatment and, most importantly, the absence of recovery time. clients can return immediately to normal activity after receiving a treatment. 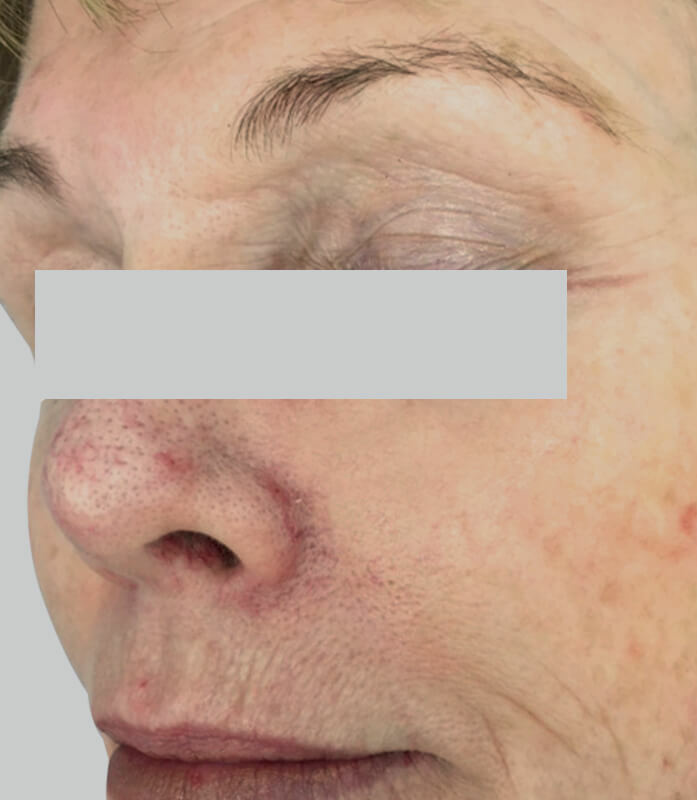 IPL Photo Rejuvenation is safe with a minimal risk of scarring or adverse effects. Treatments are quick and easy for clients and no anaesthesia is required. The whole face can be treated with IPL Photo Rejuvenation within 15 to 20 minutes. Photo Rejuvenation treatments can be safely used on non-facial skin and is one of the only truly effective treatments for facial, neck and chest erythema, telangiectasia and flushing. Who is Photo Rejuvenation best for? Photo Rejuvenation is particularly effective for erythema cases of the face, neck or chest. clients can expect an average of 50-75% reduction* in facial erythema after 5 sessions*. 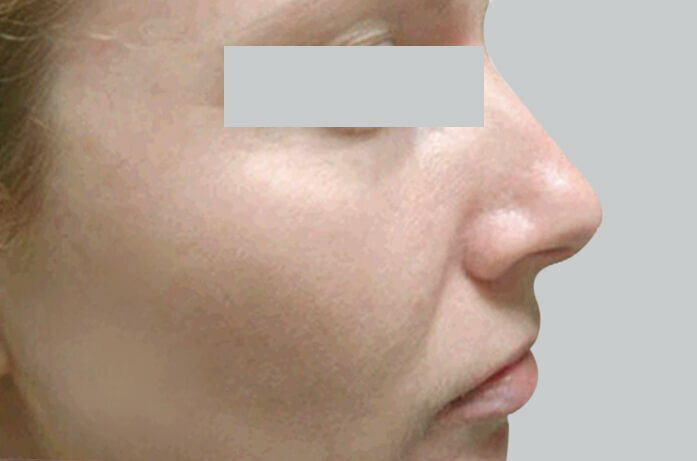 Benefits have also continued for up to 12 months* after Photo Rejuvenation treatments. Until recently, there has been no effective solution for facial, neck or chest flushing. Photo Rejuvenation is extremely effective in reducing the degree of flushing in all clients treated. Most clients report a 75% (or greater) reduction* in flushing. 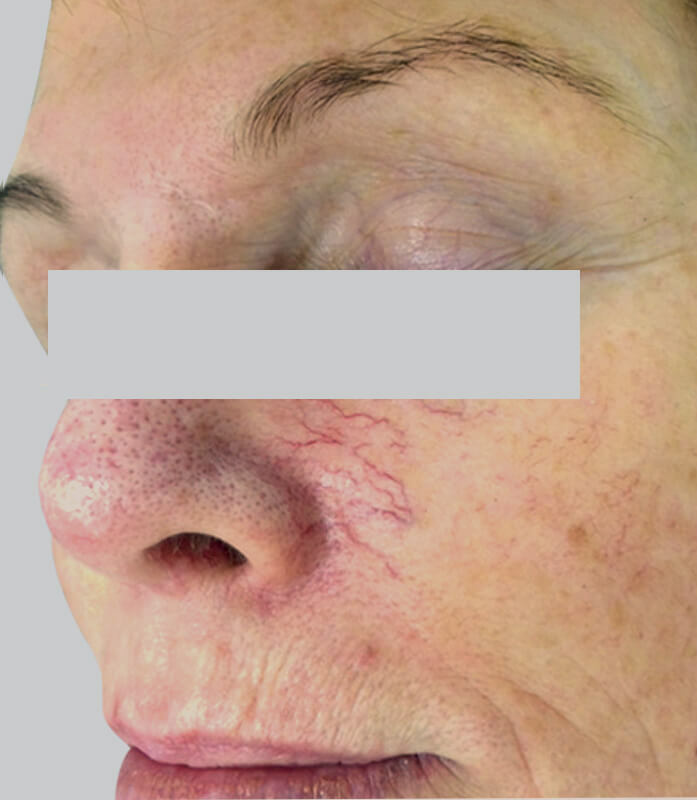 clients with active inflammatory rosacea generally experience a considerable improvement to their symptoms after undergoing Photo Rejuvenation laser treatment for rosacea. Most clients can decrease or discontinue other treatments for rosacea. Although symptoms of rosacea may re-occur, most clients report a 60% (or greater) improvement* after undergoing Photo Rejuvenation for rosacea. 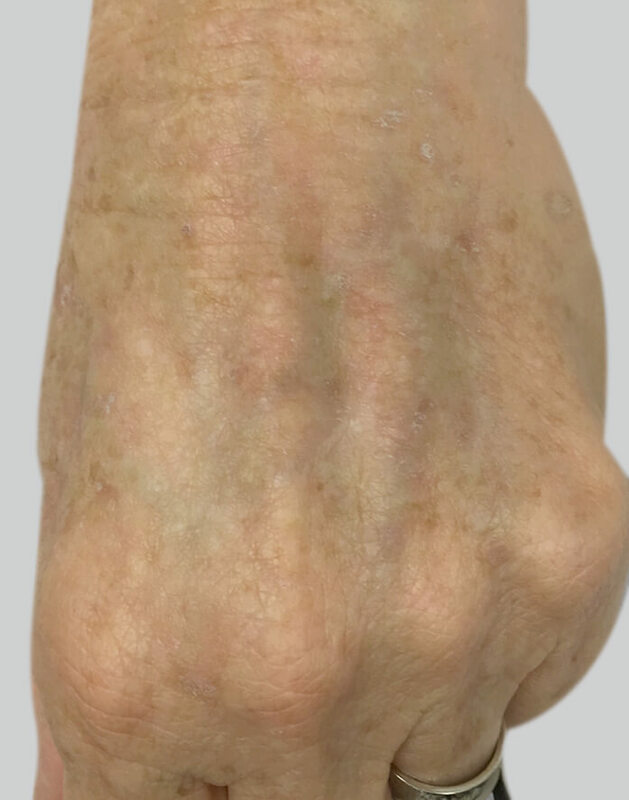 Skin that displays fine wrinkling, freckling or irregular and mottled pigmentation from chronic sun exposure is visibly improved after a series of Photo Rejuvenation sessions. 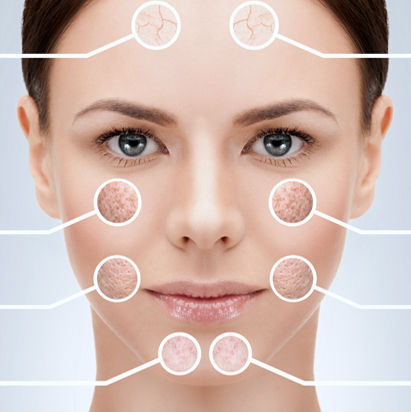 Fine lines have generally shown an average improvement of 15-25% (or greater) after 5 facial rejuvenation sessions*. These include age spots, mottled pigmentation and rough, thickened skin with large pores. clients with this skin type generally experience smoother, softer skin with a visible reduction in pore size after a course of treatments. Pore size improves an average of 50% (or greater). The chest, hands, forearms and legs can all be safely rejuvenated with our Photo Rejuvenation procedure. 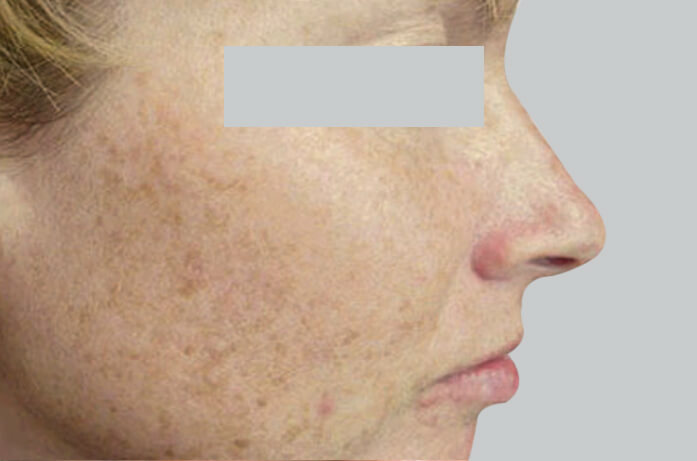 Acne Scarring: IPL Photo Rejuvenation is effective in reducing erythema associated with post-inflammatory hyper-pigmentation of acne scarring. For the best possible results, we recommend 1 to 4 Photo Rejuvenation treatments, additional treatments may be required depending on the density of pigmentation and severity of UV damage on the skin. Improvement may be visible after the first session. Long-lasting results will be achieved with commitment to the use of sunscreen and avoidance of sun exposure. As long as healing from the previous session is completed treatments can take place every 4 to 6 weeks. The average session takes approximately 30 minutes but will vary depending on the size of the area being treated. Am I suitable for a Photo Rejuvenation treatment? clients with a fair skin tone achieve the most successful results. This is due to the contrast of pigmentation and skin colour – a bigger contrast in colour means a larger target for the IPL energy. Those with darker skin tones will need to be treated with a lower fluency and will require additional sessions. clients who have had exposure to sunlight or fake tan will need to wait until their colour has completely faded before commencing treatment. We do not recommend this treatment for clients with very dark skin. Photo Rejuvenation can also treat areas such as the hands, chest and back. After a Photo Rejuvenation procedure, the area treated will experience redness, slight swelling and a mild burning sensation, this may last for up to 2 days and is completely normal. 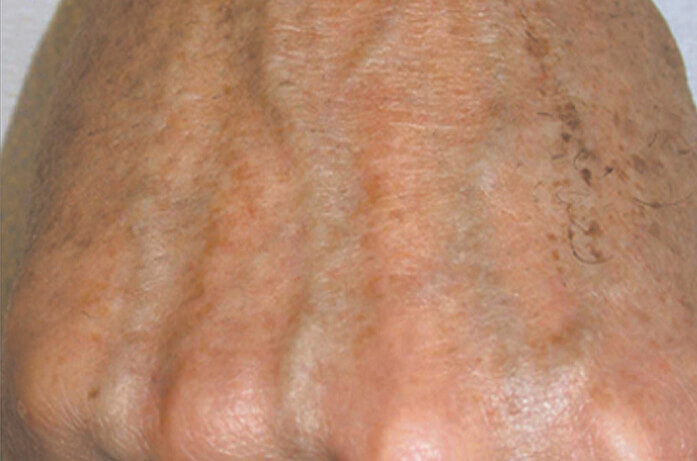 Other side effects may include: Superficial crusting – This is an effect of the pigmented lesions being destroyed and moving to the superficial layers of the skin to slough off. It is normal and expected and is one of the body’s methods of eliminating pigmentation. You will first notice that the pigmented area will darken and fall off, which may take 7 to 28 days (depending on the area of the body). 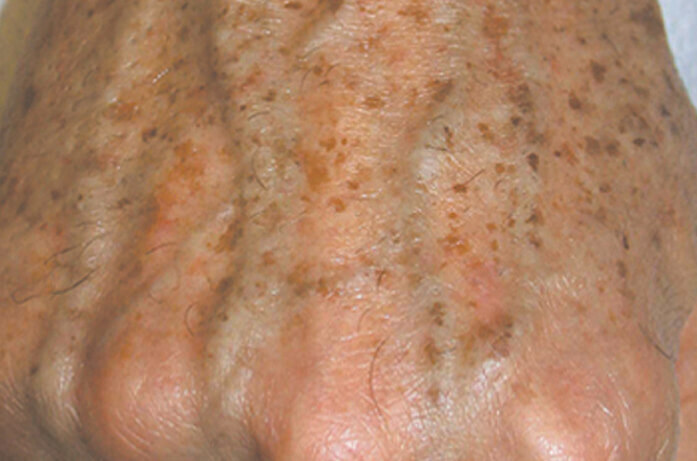 Undesirable pigmentation changes, including the skin becoming darker or lighter is influenced by sun exposure and skin types – which may be transient or permanent. Cold sores may be activated from Photo-Rejuvenation treatments around the mouth and it is recommended that a course of anti-virals be taken prior to treatment. Blistering may occur and is transient. 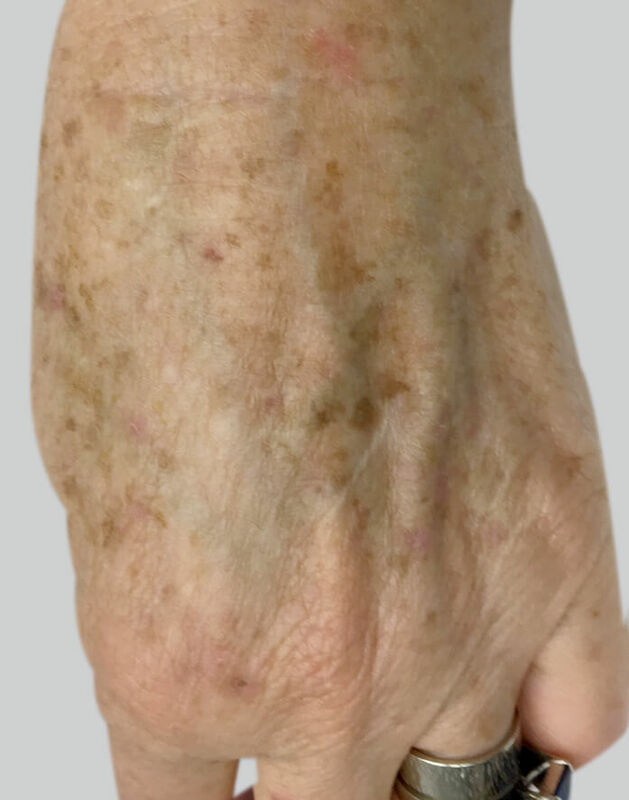 Vasculature concerns such as dilated capillaries and rosacea may also become darker but will lighten and eventually fade, in some cases the capillary will collapse completely. Because Photo Rejuvenation encourages collagen production which provides hydration, fine lines and wrinkles will look softer and smoother, creating a more youthful, appearance. Apply a soothing gel product or ice pack to alleviate discomfort. We recommend Skintitut Laser Aid as this is specifically formulated to nourish skin after dermatological treatments such as photo rejuvenation. Make sure to keep the treated area out of the sun and to wear SPF30+ sunscreen at all times, and if you are planning to be in the sun make sure the area is protected by clothing or a wide brimmed hat.